Standard/Smooth shoe with rounded toe & perforated breathable side insets. 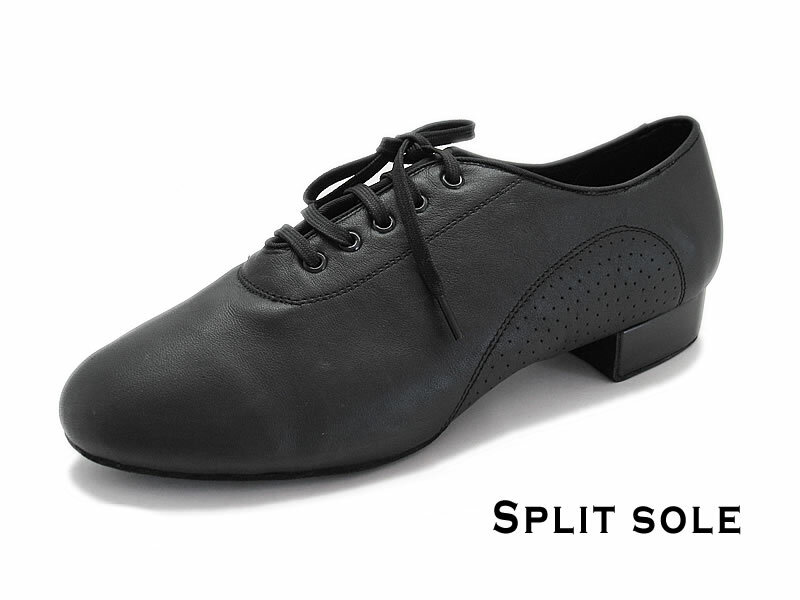 Split-sole construction provides flexibility. Pictured in Imported Black Leather(S4), with Men's Modern Heel.